EPIC Insurance Brokers and Consultants, a retail property, casualty insurance brokerage and employee benefits consultant, announced today that EPIC client the City of Atlanta recently celebrated the grand opening of a new Wellness Center for city employees. This 12,000-square foot facility is located in the City Plaza building across from Atlanta’s City Hall. ATLANTA, Ga. /Mortgage and Finance News/ — EPIC Insurance Brokers and Consultants, a retail property, casualty insurance brokerage and employee benefits consultant, announced today that EPIC client the City of Atlanta recently celebrated the grand opening of a new Wellness Center for city employees. This 12,000-square foot facility is located in the City Plaza building across from Atlanta’s City Hall. City of Atlanta workers now have a single place in which to exercise, eat nutritious snacks, and receive health care and employee assistance services while pursuing their personal health goals. EPIC consultants Cloe Guidry and Chris Clark provided health management consulting services and guidance for the City of Atlanta throughout the design and development of the Wellness Center. Guidry and Clark anticipate that after 36 months the City of Atlanta will save $2 for every $1 it invests in the program. The savings come from the combination of managing the rising cost of health care services and improving productivity. Having a health center at work saves time (patient wait times average only 5 minutes) so employees get back to work faster, minimizing downtime and improving productivity. The new, approximately $3 million facility was funded entirely through insurance reserve funds generated through contracts with insurance vendors, pharmacy rebates and performance guarantees. EPIC is a unique and innovative retail property and casualty and employee benefits insurance brokerage and consulting firm. EPIC has created a values-based, client-focused culture that attracts and retains top talent, fosters employee satisfaction and loyalty and sustains a high level of customer service excellence. EPIC team members have consistently recognized their company as a “Best Place to Work” in multiple regions and as a “Best Place to Work in the Insurance Industry” nationally. EPIC now has 1,100 team members operating from offices across the U.S., providing Property Casualty, Employee Benefits, Specialty Programs and Private Client solutions to more than 20,000 clients. 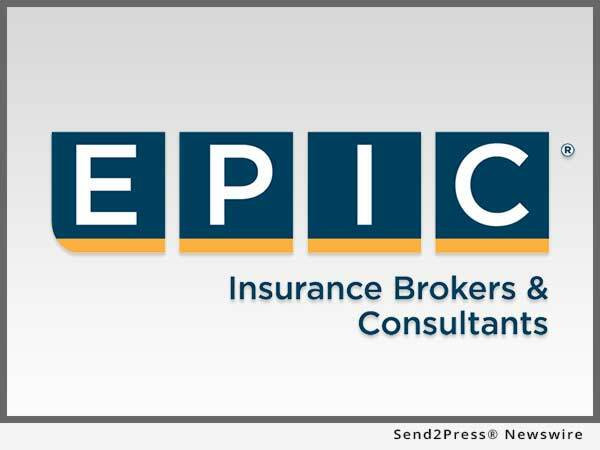 With run rate revenues approaching $300 million, EPIC ranks among the top 20 retail insurance brokers in the United States. Soon to be backed by Oak Hill Capital Partners, the company continues to expand organically and through strategic acquisitions across the country. For additional information, please visit http://www.epicbrokers.com/.